The Rangers are coming off a Friday night win over the Mariners. The Rangers are holding steady at 2-2, while the Mariners are off to a rough start. 2010 was expected to be a big year for the Mariners, with their starting rotations set to be at the top of the league. Despite this, the Mariners are having a lot of trouble in the early days of the 2010 season. Cliff Lee and Erik Bedard are both hurt, and the offensive production has been lacking. Nonetheless, Saturday looks to be a good day for the Mariners. 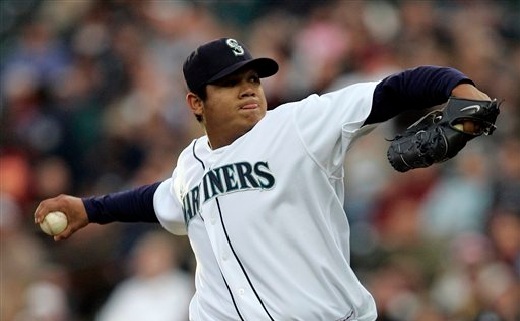 Seattle is sending their ace (or, co-ace), Felix Hernandez to the mound. Hernandez has been dominant over the last few years, and should give the Rangers a tough time on offense. Matt Harrison gets the start for Texas. Harrison, who held a 6+ ERA in 2009, should be an easy target for the Mariners. This is the game that Seattle needs to get back on pace. With their best healthy pitcher starting, and an offense that is ready to implode against Harrison, Seattle should be able to secure their second win of the year on Saturday. Neither team is particularly dangerous on offense, with Guerrero and Ichiro being the two big names. The Rangers should be given the slight offensive edge in this match up, but the pitching cancels out the edge and then some. The Mariners are a good pick on the money line at -142. This number might seem a bit high at first, but when you consider that the Mariners should be aiming for a win with a vengeance, and Hernandez starting, the line becomes that much better. If the Rangers had a better starting pitcher, this line would be fairly easy to pass up, even with Hernandez starting.